When we were in California in April I loved gazing at the hibiscus growing everywhere. They are such a showy tropical flower. As I’ve been practising my watercolouring the last few days, I thought I’d pull out some of my own stamped hibiscus from Altenew's Hibiscus Bouquet, to play. It has lots of open lines that you can interpret how you like. Really pretty isn’t it? As my Kuretake Gansai Tambi watercolours are new, and what I’m trying to get better at, I used them again on this little arrangment. I love the vibrance and depth of colour you can achieve with these paints. It works so well for vibrant flowers like these. But you can also achieve soft backgrounds as well, so I’ve added a moody cool background as contrast for those yellow blooms. A bit of twine, some seqins and some old SU tropical feeling paper (the yellow layer are actually hibiscus flowers too, so it was a good find in my stash. So, some more practise with my watercolours and another card for Kathy’s 30 Day Colouring Challenge! 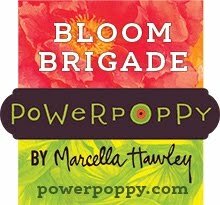 See you tomorrow with some Power Poppy goodness from the new release and my Copics again! 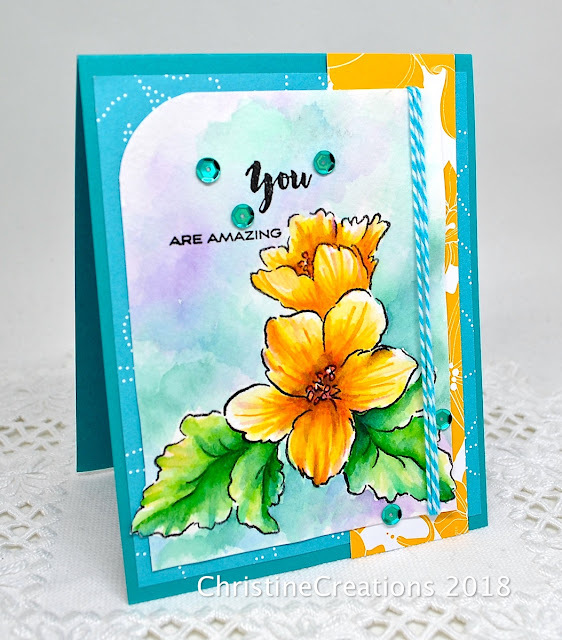 Fabulous card, my favorite colors and my favorite flower! Large stamps like this are perfect for watercoloring and I love the opportunities afforded by the open lines. Gorgeous, soft background for your sublimely colored hibiscus, Christine. You even managed to work in some designer paper. Heaven! Christine this is beautiful. Your watercolouring is amazing girl! Love the soft background against your vibrant flower. Love your colour choices on this. 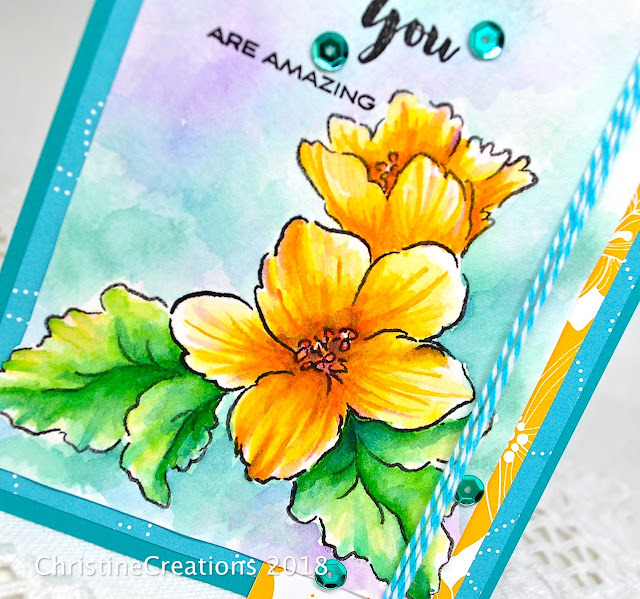 I adore the colors that you used in this tropical card. The combinations are perfect together. Another job well done. This has a hawaiian feel to it and the summer yellow is fresh. Very pretty!